Template 10 is one of the first few nuGet packages that people recommended me to use. For beginner, creating app using Template10 is very easy as they provide several templates for you to start your day as a Developer. They currently have the Hamburger, Minimal and Compact template that are ready to use. They have many useful custom controls like VoiceToTextBox and PageHeader. If you face problem while using Template10 just go to their GitHub page or ask your question on StackOverflow using Template10 tag. 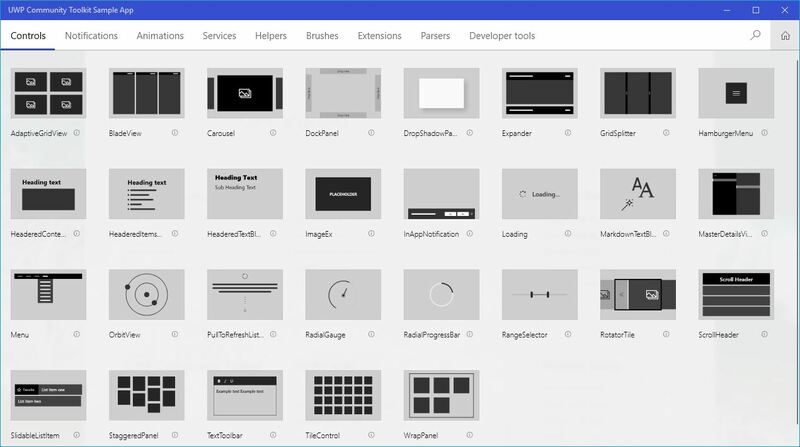 UWP doesn’t offer many UI and controls to use. Here come many development kits in handy. 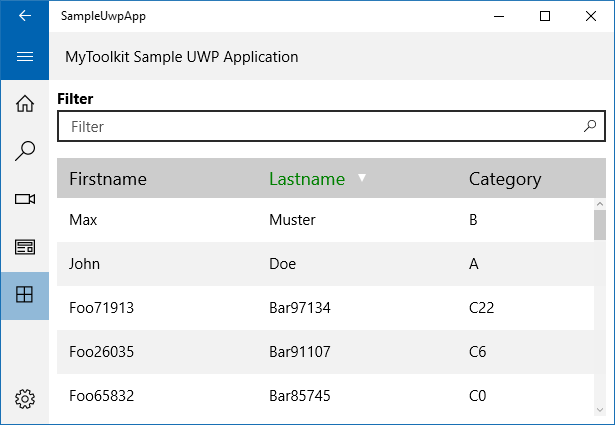 One of my favorites is UWP Community Toolkit. It is free and has many custom features that can be implemented to your app easily. If you are not sure what they have to offer, just download their Sample App which showcases their controls and features. It can downloaded on Microsoft Store. In their sample app you can also find snippet of the code and the controls in action. The code itself is open source. The documentation can be found on Microsoft website. And the code can be found on Github. Last year Telerik made Telerik UI for Universal Windows Platform free and open-source for the world. I have used their controls for a couple of time to create beautiful charts and graphs. 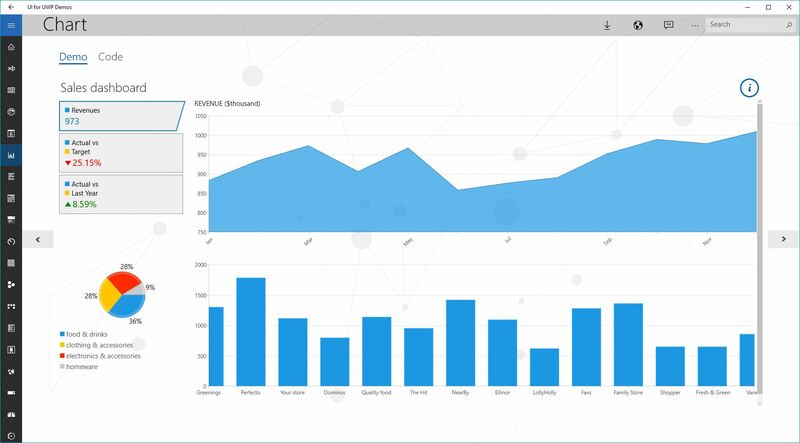 Since UWP doesn’t have a control to display data in Excel-like table, Telerik comes in handy as they have a custom control DataGrid for this purpose. The control itself is also so powerful as it’s packed with many useful functions. 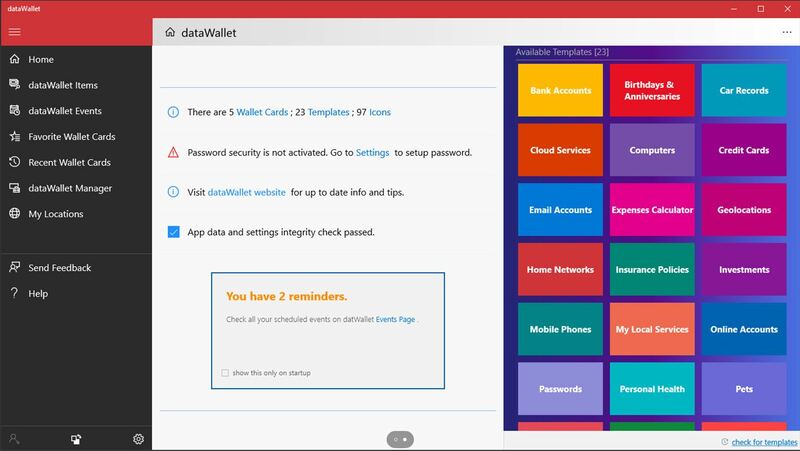 You can first check their Sample App on Windows Store to see what controls are available for you. If you need a simpler DataGrid than Telerik’s to implement then I would recommend you to use MyToolKit DataGrid. Their DataGrid is easy to implement and has sorting and filter function that can be programmed with less than 10 lines of code easily. The package can be found on NuGet official website. For documentation make sure to check their GitHub page.